A Rare Opportunity to Participate! H.E. Dzogchen Khenpo Choga Rinpoche and the international Dzogchen Buddha Path Sangha announce the Second Annual Grand Tara Drupchen. Attend this glorious event to experience the power of your own love and compassion while seeing what happens when like-minded individuals join together in heart, mind, voice, music, and visual splendor. 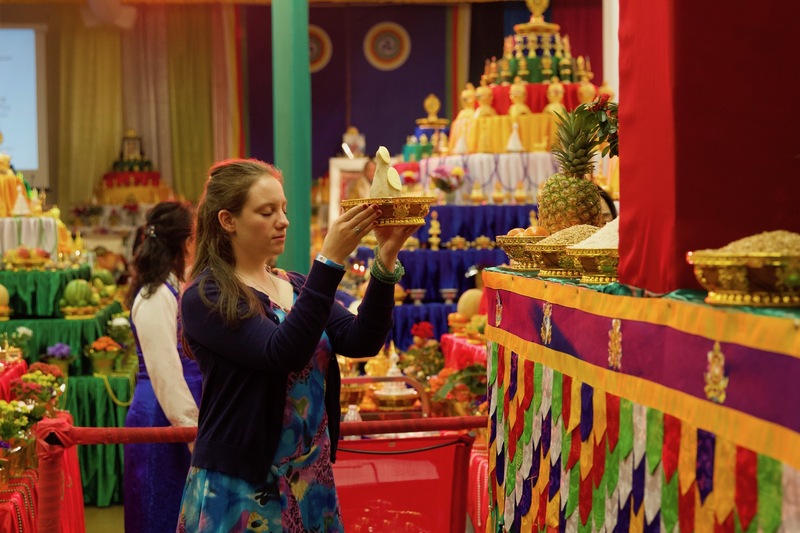 The Grand Blessing Ceremony of the 10,000 Offerings to the 21 Noble Taras, Dzogchen Buddha Path Tara Drupchen, is a three day group practice and devotion to the great compassionate victorious Mother Tara, female Buddha revered by Buddhists around the world. It is said that Tara – manifestation of Avalokiteshvara – alleviates all fear, anxiety, obstacles and dangers, helping all who call her name. It is our aspiration to create a beautiful, abundant and inspiring practice environment to support the positive thinking and joyful attitude of all the participants in order to maximize the benefit for all beings. Together we will pray, chant, dance, sing, drum, and make offerings in a beautiful and elaborate Buddhist mandala for harmony and world peace. 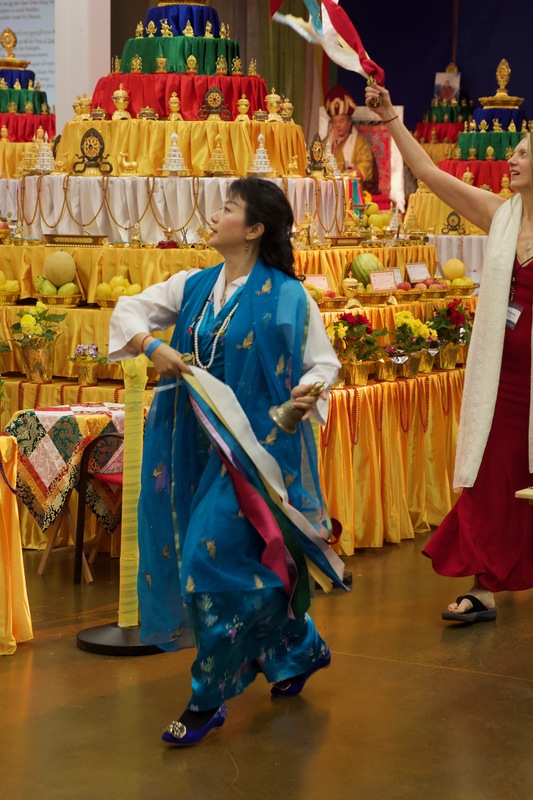 This public event is a rare opportunity to participate in a large Buddhist practice and ceremony to help increase personal well-being while benefiting the community and the world. May all beings swiftly attain vast awakening! May HE Khenpo Choga have long life and may his enlightened activities flourish throughout the world. The Dzogchen Buddha Path Sangha of Silicon Valley prays for the long life, good health, and happiness of Dzogchen Khenpo Choga Rinpoche and Sangha. From Jay and Hai Moreland: For the enlightenment of all beings. May these offerings multiply by more than the number of atoms in all universes! This donation is from the Salt Lake City sangha. May the Tara Drupchen be auspicious and resonate throughout the world! We need love and compassion , please Noble Arya Tara, bless us! Thank you, Rinpoche, for your leadership, inspiration, love, and compassion. 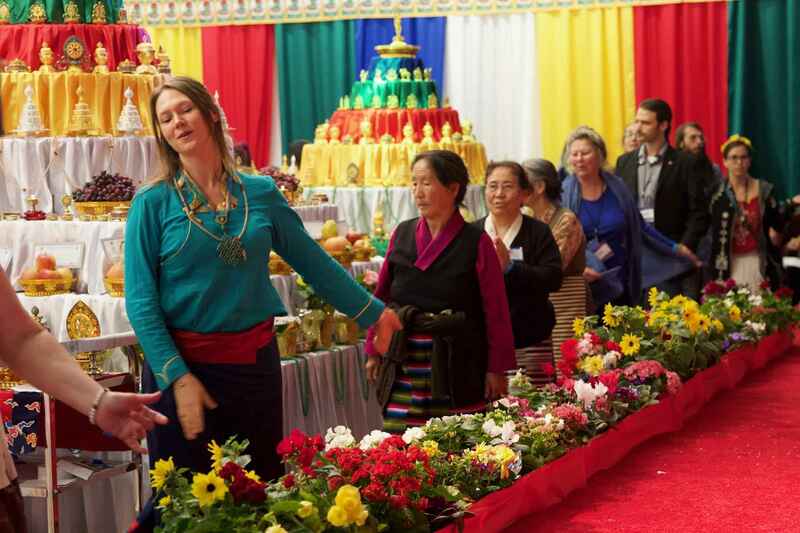 Thank you, Lama Carrie, for all your great work on this cool event! In order to liberate all beings from suffering and the cause of suffering and establish them in perfect enlightenment! For the benefit of all beings! May all the aspirations of HE Dzogchen Khenpo Choga Rinpoche swiftly be fulfilled! May the 2019 Tara Drupchen be completely successful!